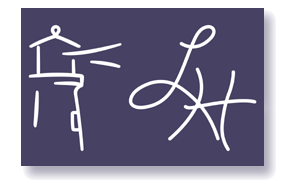 Welcome to The Lighthouse Owners' Association official website. The Lighthouse rises majestically above the sugar white sandy beaches of Gulf Shores, Alabama. 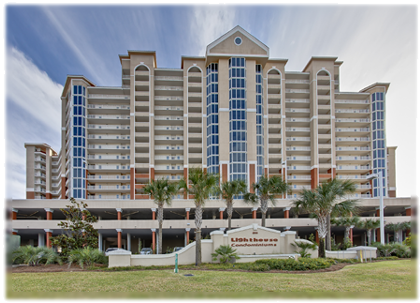 This gated community is comprised of 251 residential 1, 2, and 3 bedroom condominiums, all with direct Gulf front views. Amenities include indoor and outdoor pools, fitness room, sauna, hot tub, and covered parking. The perfect combination of comfort and recreation. You must be a registered owner of The Lighthouse in order to access this site. If you do not have your login id and password, please contact the Association management staff at Kaiser Realty, Inc.
On 2/26/19 The Lighthouse Special Homeowners Meeting was held to certify the vote on the addition of an elevator with our attorney, Mr. Daniel Craven. 185 units voted with 128 (69%) In Favor and 57 (31%) Opposed. With over 60% in favor the motion has passed. Construction will begin late August or early September with completion expected by December 31, 2019. The effective date of the assessment is 2/26/19 with the first payment due 8/1/19 for those taking advantage of the 5 year payment plan. To receive a 15% discount, payment in full must be made no later than 8/1/19. Statements will be mailed to all a minimum of 6 weeks prior to the due date. Thank You to those that took the time to vote.